Satellite based Earth observation can play a pivotal role in the disaster and risk management life cycle, particularly in supporting disaster preparedness, emergency response, rescue, and relief efforts. Satellite imagery is also vital in damage assessment during the post disaster phase as affected communities’ recover from the disaster. 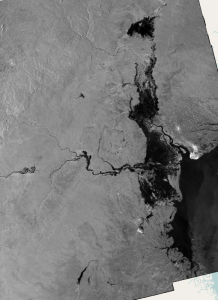 In the recent Cyclone Idai floods the free and openly available Sentinel-1 Synthetic Radar Aperture (SAR) dataset was critical in assessing the full extent and impact of the flood due its ability to penetrate clouds and rainy conditions. The catastrophic impacts of Cyclone Idai in Mozambique, Malawi and Zimbabwe have been well published across the media. Cyclone Idai displaced, injured and killed hundreds of people in the three Southern African countries and destroyed infrastructure such as roads, bridges and houses to the value of billions of dollars. The excessive flooding that occurred in the areas also eroded agricultural fields and ravaged the natural social and economic security of the poor communities, particularly those that lived in low lying riverine areas. According to the United Nations OCHA report, 447 people were reported dead in Mozambique, 1522 injured, 1 850 000 affected negatively and this number continues to raise. In Zimbabwe, 172 people are reported dead, more than 186 injured and 327 are missing as of 27 March 2019. A further 16 000 households needed shelter assistance in Chimanimani, Mutare, Chipinge and Buhera. Satellite technology such as the Sentinel-1 SAR satellite became the ideal technology to monitor the flooding as it happened on the ground. 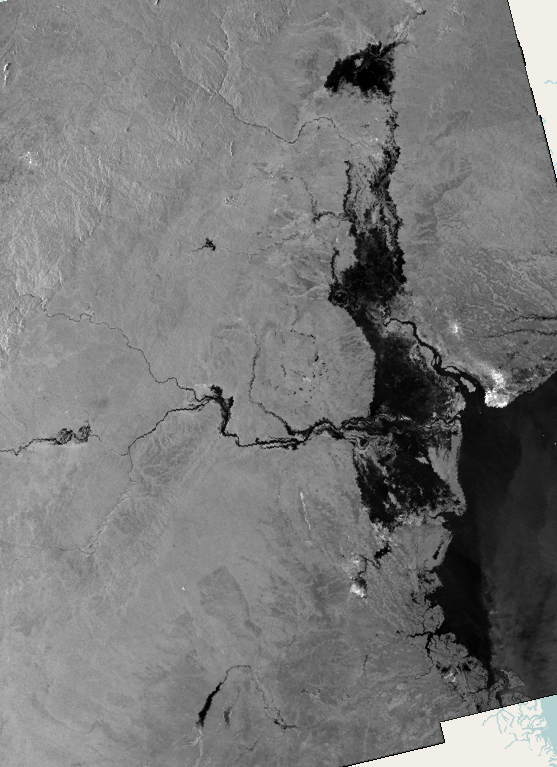 The South African National Space Agency managed to assess the scale of the damage using satellite data. In the snapshot above we show the flood extent in Beira Mozambique and Chimanimani in Zimbabwe. SANSA was created to promote the use of space and strengthen cooperation in space-related activities while fostering research in space science, advancing scientific engineering through developing human capital, and supporting industrial development in space technologies.